You can display countdown timers for all products with specific prices or activate it manually for chosen products. 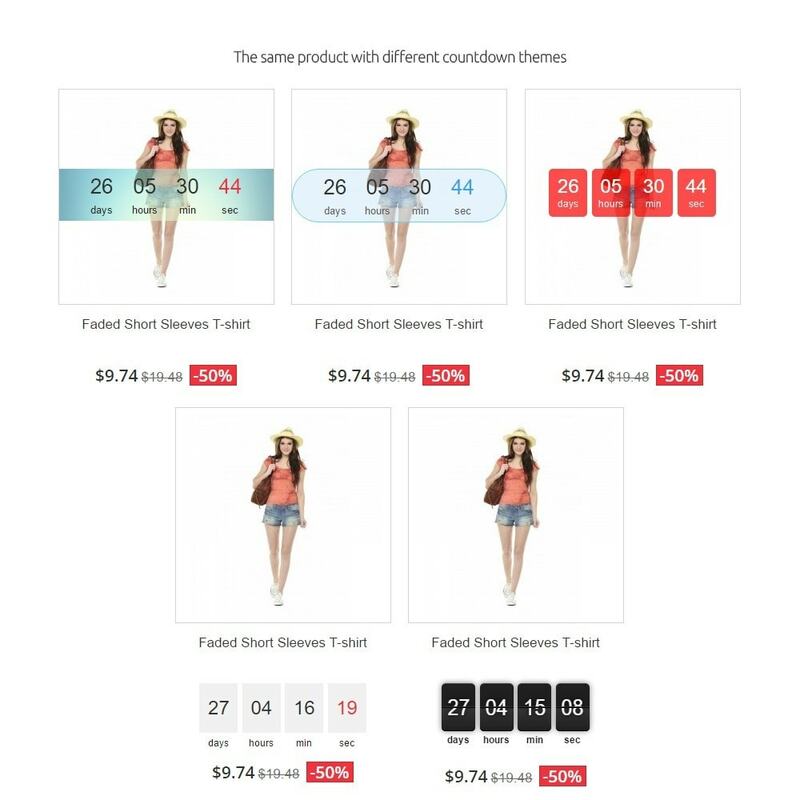 This module is created to encourage impulse buying in your store by displaying noticeable timers over products. And it will help you to highlight products on sale. Configure font size, background, colors etc. Full multi-language and multi-store support. For your customers will be easier to find products on sale and see how long they will be available.